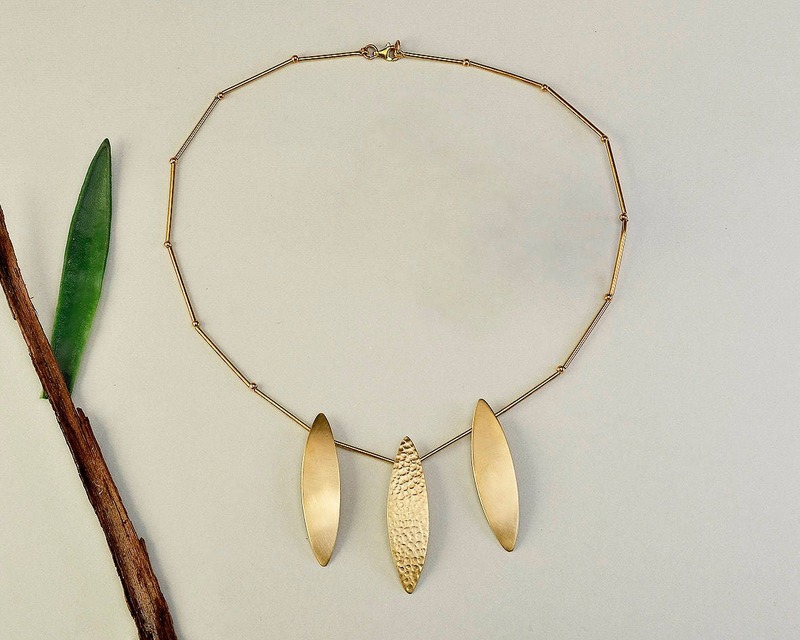 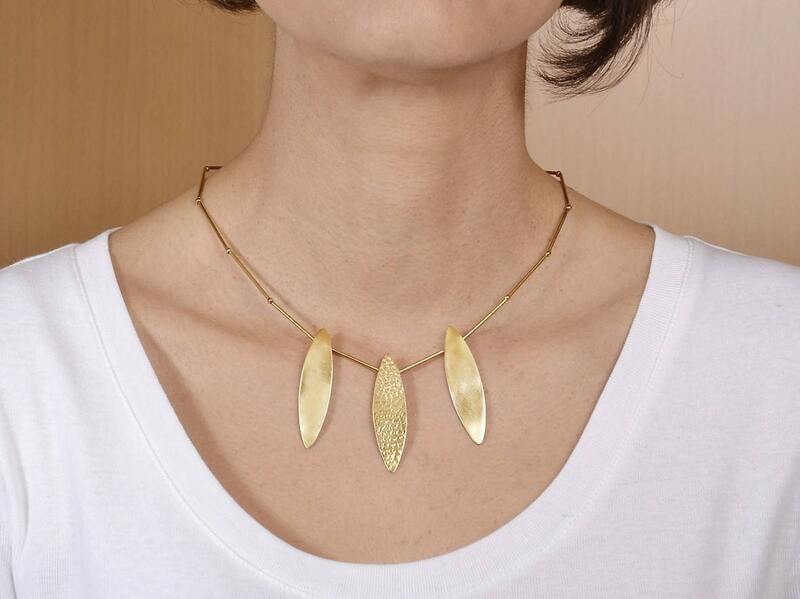 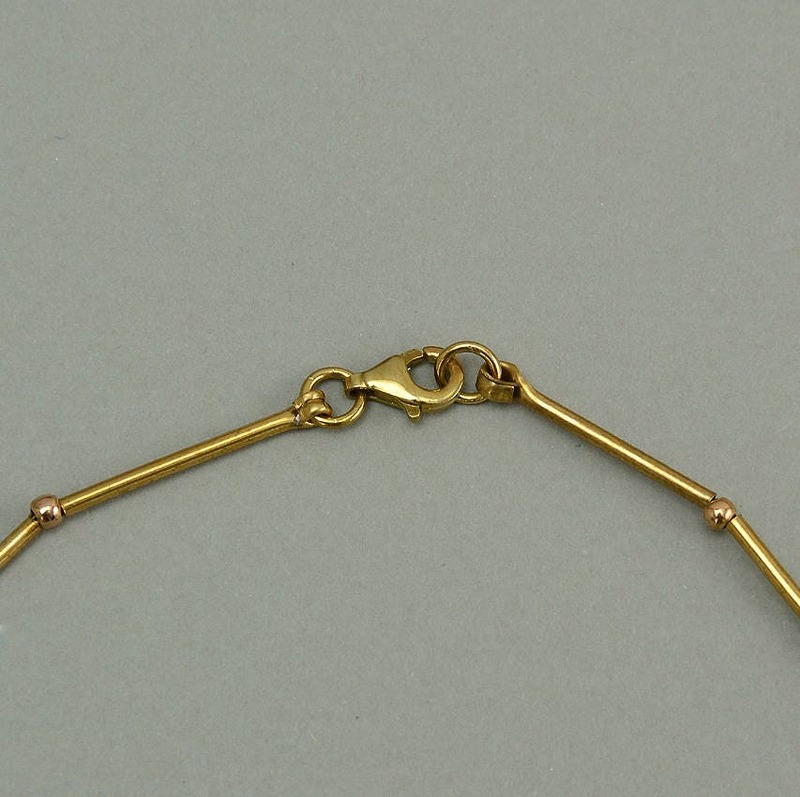 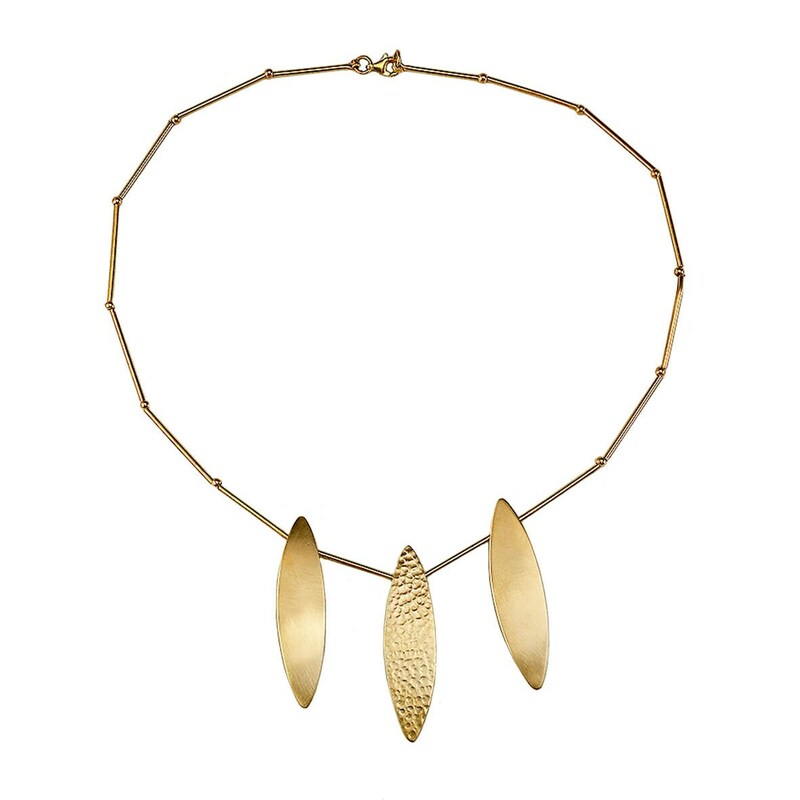 Leaf necklace in gold tone made of tumbaga . 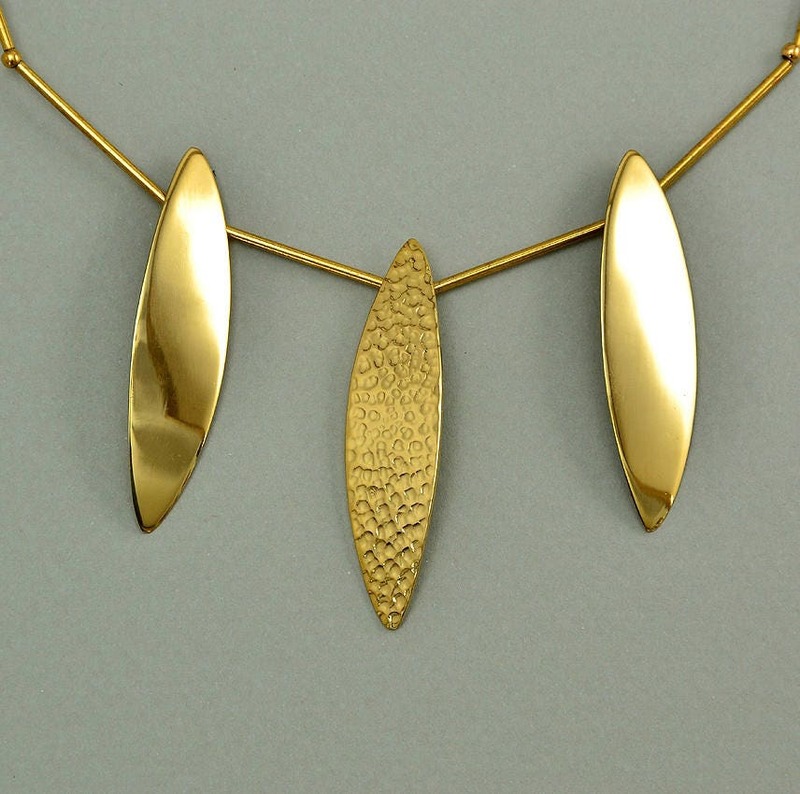 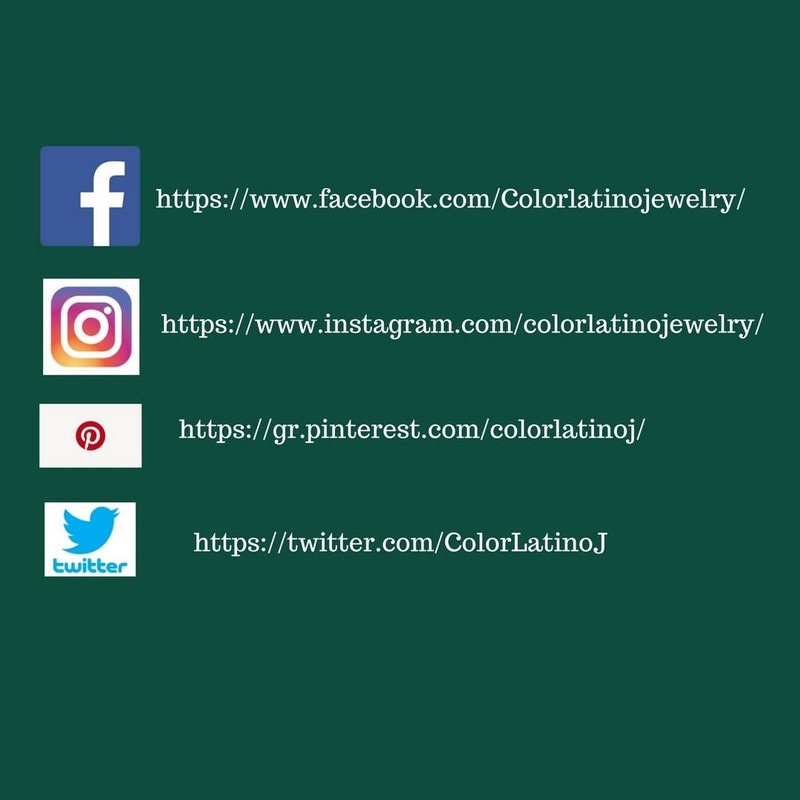 If you are looking for a gold nature bridesmaid necklace, this 3 leaf necklace is a great gift for her An ideal women gift from our nature jewelry collection. 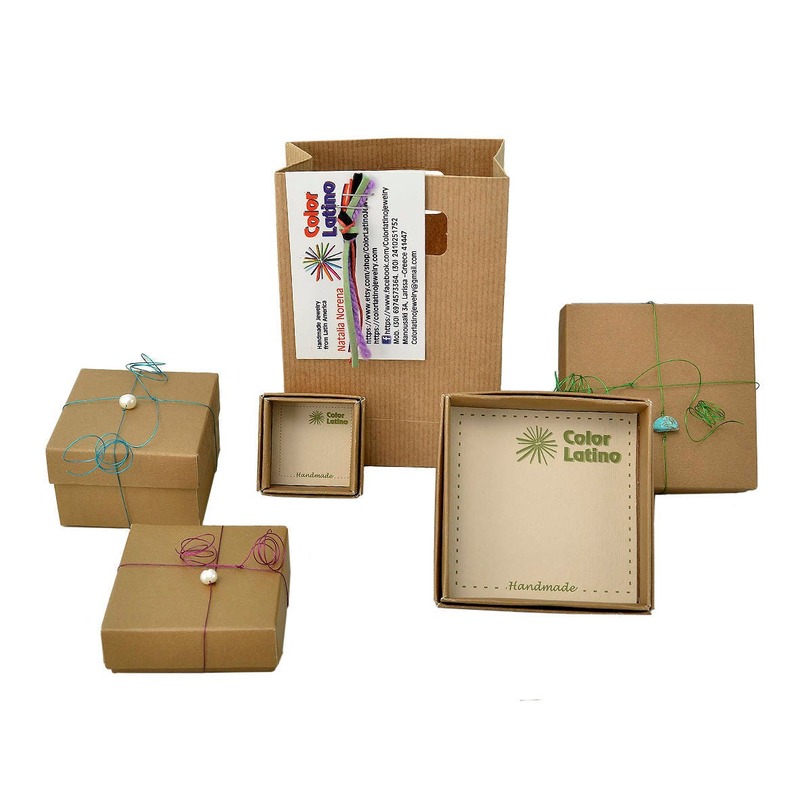 Makes a Great Gift: every jewel is delivered with a gift packaging: cardboard jewelry box and eco- paper bag. 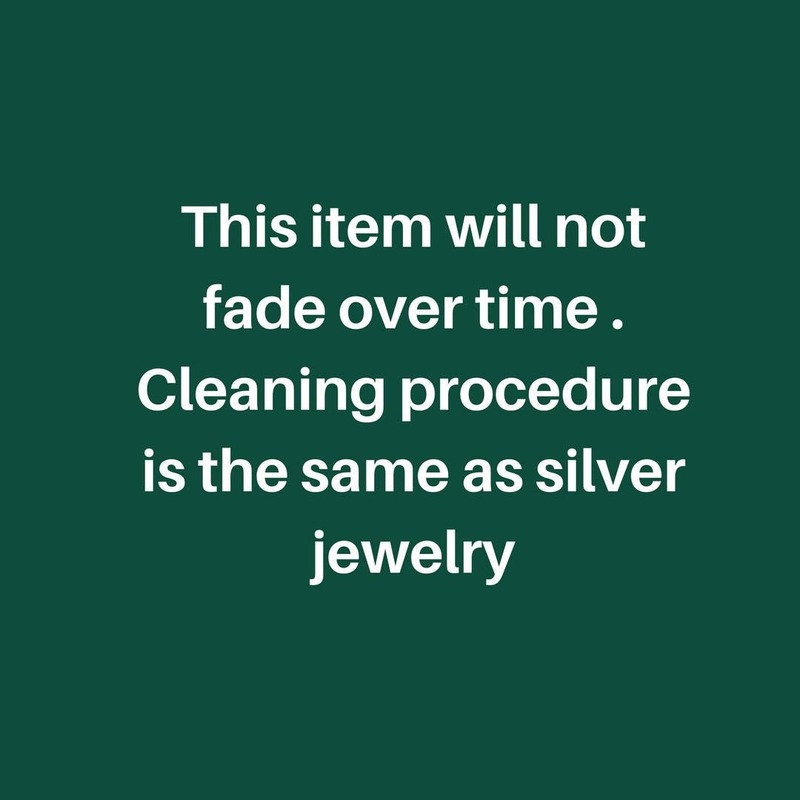 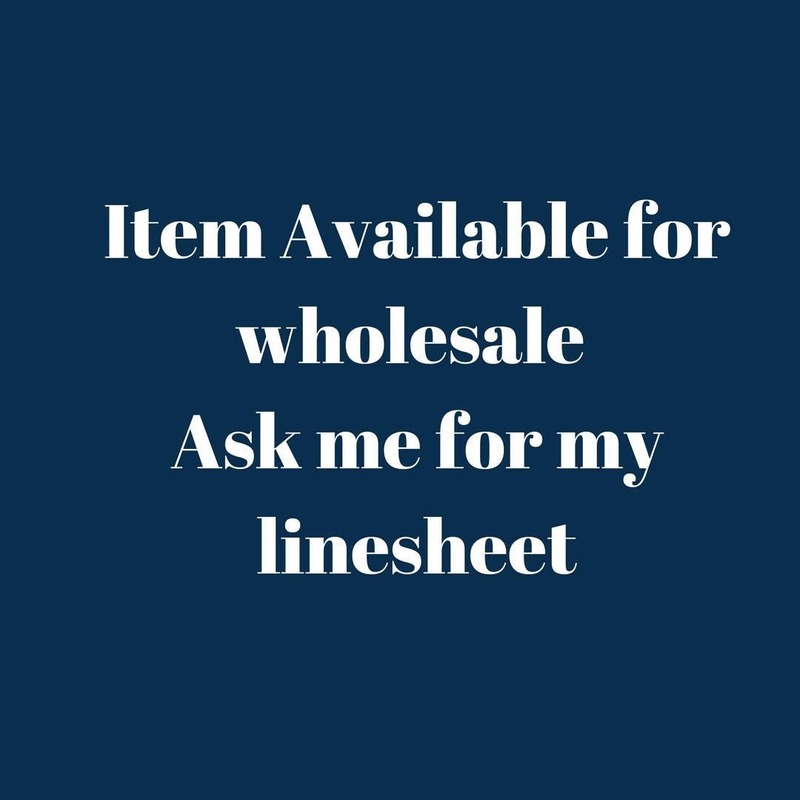 (See picture).